Boyd and Marilyn grew up in the San Joaquin Valley of California. In 1976 Boyd and Marilyn came to serve as Youth Pastors at People's Church. Later, the Lord directed them to missions where they served 23 years as missionaries with the Assemblies of God to Argentina and Puerto Rico. They were involved in church planting and served as directors of a Bible School in Cordoba Argentina. Their years in Argentina gave the Brooks an enormous appreciation for Latin culture, and they feel their lives have been forever enriched from those experiences. In 2000 they became the pastors of People's Church. They have three grown children, one daughter, two sons, and seven grandchildren. Family is an important priority to Boyd and Marilyn, and they take immense pleasure in this great gift God has given to them. Having been missionaries for so many years of their lives, the Brooks have a missionary heart, so it is no wonder the church supports over one hundred missionaries around the world. They continue to have great interest in Argentina and are invested in helping to plant churches and train pastors in this very special place. 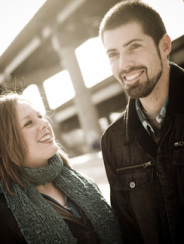 The Brooks have a passion to see people love Jesus and live the authentic Christian life. They believe that the genuine Christian has an irresistible testimony. Boyd and Marilyn and their family are committed to supporting marriage and the family through their example and their ministry. Boyd has a passion to help families through a variety of ministries. One of the ways he does that is through his counseling ministry. Boyd has a master's degree in theology and leadership, a second master's in counseling, and doctorate in psychology. God has given him experience and the tools to work with families who want to improve their relationships. He enjoys seeing marriages strengthened and working with families with parenting challenges. Connect with Boyd at BoydBrooks.com and social media. Be sure to listen to the LIVING LIFE PODCAST. Grab a copy of Responsive Parenting: Principles for Raising Connected & Healthy Kids by Pastor Boyd D. Brooks . Ryan Brooks moved to Arnold, MO in 1999. Before that he lived in Argentina as a missionary with his parents for several years. He is currently involved in running sound on a regular basis and working on media projects for People’s Church. In addition, he has been working as an audio engineer for 15 years. He graduated with a degree in Media Communications in May of 2007 from Webster University in Missouri. In April of 2010, he married Fawn Tutterrow. She graduated from Central Bible College in 2004 with a degree in Church Music and uses this talent to lead worship. Together they enjoy working with the youth and serving the church in whatever way needed. Fawn and Ryan have two children, Madelyn and Neal. To find out more about THRIVE YOUTH please visit thriveyouth7.com or check out Ryan's blog. Sarah Brooks graduated from Evangel University with a double major in Elementary Education and Missions. She has taught in public and private schools in Washington, D.C. and its surrounding suburbs. Sarah has always had a passion for teaching and working with children. As a teenager she taught Sunday School, and as a college student she interned with a children’s ministry and helped pioneer a church dedicated to children’s outreach. Missions is also a huge passion of hers, as she has taken missions trips to Cuba, El Salvador, the Dominic Republic and the Dream Center in Los Angeles. While living in Southeast D.C., she interned and later worked full time for Urban Outreach, an inner-city ministry located in Washington, D.C. Her area of focus was children and women’s ministries. Sarah has been married for 10 years to her husband Eric and has three children Adela, Eliana and Josiah. Sandy Thornhill has previously been involved in all types of children's ministries and currently leads the Kiddie Power class on Sunday mornings, along with several volunteers. This special ministry to our preschool-aged children is a place where Sandy can use all of her creative talents, and the children adore her class activities. Judy leads the music program for People's Church. She coordinates the worship teams, special music, choir, and music presentations throughout the year. Sandy and Marilyn make the office run. They are both committed to pursuing excellence in all that is required to make a church office function well. Ed, Dudley, and John work together with other men who volunteer with dedication and commitment to make sure everything about our buildings is functioning and safe.